Two weeks ago, Laval had strong goaltending but couldn’t score. Last week, they were able to light the lamp a few times but the goaltending let the team down in a pair of losses. Feb. 7: Senators 5, Rocket 2 – Charlie Lindgren had a rough night in this one. To be fair, almost everyone had a rough night (aside from the power play). Xavier Ouellet scored in his return to the lineup while Alex Belzile had another multi-point game. Feb. 8: Senators 6, Rocket 3 – After Lindgren struggled the night before, Michael McNiven got a chance to play. It didn’t go any better. In fact, it went worse as he was yanked barely past the midway mark after allowing four goals. Alex Kile had his first multi-goal AHL game in the losing effort. – Xavier Ouellet returned from his two-game absence due to illness, giving Laval a boost on their back end. However, the trade of David Schlemko ultimately negated that on the weekend. 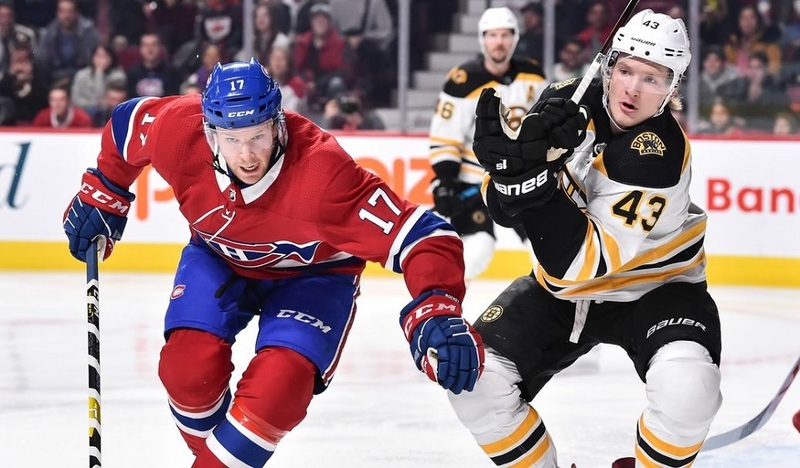 – Michael McCarron’s season has come to an end after undergoing successful shoulder surgery. That’s another top-six forward that’s gone, joining Byron Froese (traded) and Michael Chaput (in Montreal pending waivers) as well as Kenny Agostino who was claimed by New Jersey. Meanwhile, Hunter Shinkaruk left Saturday’s game early with an upper-body issue. 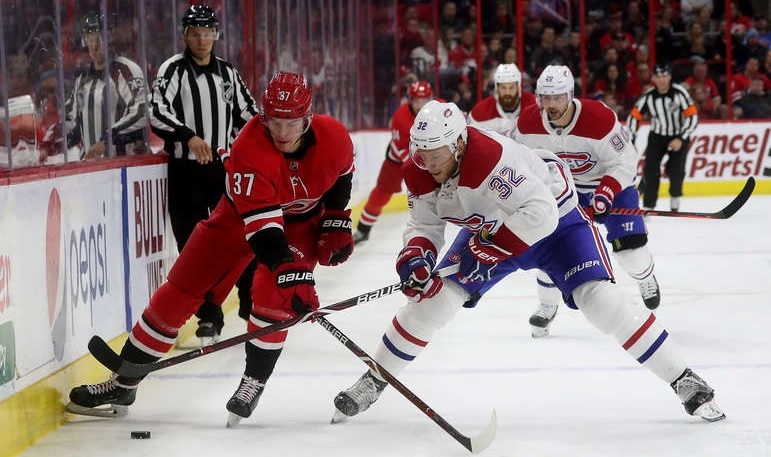 – With their forward depth being, well, non-existent, Laval has recalled Morgan Adams-Moisan from Maine of the ECHL while signing Marc-Olivier Roy to a PTO. Roy played in a dozen games with AHL Chicago earlier this season. 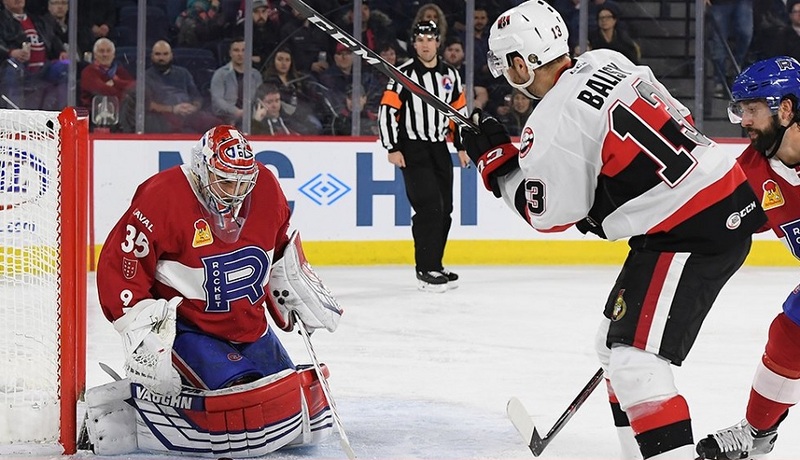 – Carrying three goalies wasn’t a viable situation long-term and with Charlie Lindgren and Michael McNiven both having ties to the Habs, it was clear that Connor LaCouvee was going to be the odd man out even though he had played so well. While he was sent back to ECHL Maine, they first gave him a two-way AHL deal for the rest of the season, giving them some extra insurance for the final couple of months while giving LaCouvee a nice raise on what he was making on his ECHL deal. Feb. 13: at Utica – The Comets have turned to veteran Michael Leighton to give them some stability between the pipes and he has done well so far, allowing them to hold down a playoff spot. Reid Boucher sits fifth in league scoring while former Hab Tom Pyatt is now with Utica after being acquired recently from Ottawa in a trade. Feb. 15/16: at Binghamton – The Devils are the most penalized team in the division so Laval’s power play, which has been semi-respectable as of late, will need to be sharp. Binghamton got a boost between the pipes as MacKenzie Blackwood, who helped steal a game against the Habs two weekends ago, is back with them with Cory Schneider returning. Rather than do a full trade odds series where I run out of different ways to say that the odds are low that most players won’t be traded, I’m going to cover the players of note in here instead. This week, the focus will be on Laval’s defence and goalies and next week, it will be the forwards. Charlie Lindgren: 30%: It’s believed that Montreal has set a fairly high asking price for Lindgren as he’s expected to be up full-time with the Habs next season. However, young goalies are in demand and it’s not as if they wouldn’t be able to sign a backup for next season in free agency. If Marc Bergevin wants to add a player of note without taking away from his top prospects or someone on the current roster, Lindgren could be the one to go. Cale Fleury: 15%: I think Fleury has certainly boosted his stock this season although he’s still not too close to being ready for the NHL. He’s not in the same class as Noah Juulsen or Josh Brook when it comes to right-shot prospects so he could be expendable, especially if they’re looking to add another defenceman (one that will be around past this season). Michael McNiven: 10%: Although McNiven has played better this year, it’s hard to imagine him being a key part of a trade as he has a long way to go before even establishing himself as number three in the pecking order. There will come a time where this percentage will be higher but it’s probably one if not two years away yet. Beyond these three, it’s hard to imagine anyone else drawing trade consideration. The Habs will want to keep Xavier Ouellet as insurance while Brett Lernout can be used in a pinch. Every team has a Lernout of their own though so a trade market for him is pretty much non-existent.